Rollin’ Coal is a charmless form of antisocial behavior that involves modifying a truck’s engine to burn extra diesel fuel at will and emit a choking cloud of black smoke – usually all over somebody else. It’s not a recent phenomenon, but lately it’s become a misguided way of ‘getting back’ at President Obama, liberals, Prius drivers and anyone else its proponents don’t like. Firstly, let’s be clear: there’s no literal connection between Rollin’ Coal and coal itself, the sooty diesel fumes just resemble coal smoke. But more politically, the phenomenon is becoming a form of protest against the EPA, the government in general and emissions reforms, as well as those who are seeking alternatives to fossil fuels. The point that seems lost on its proponents though is that we are all in this together: burning more diesel to get back at someone whose political or environmental views you disagree with just pollutes your own community, costs you money and increases your risk of developing an unpleasant range of cancers. Despite the cost, the subculture has developed a strong in-person and social media following amongst generally young, male, truck driving, political conservatives. In an article for Vocativ, Elizabeth Kulze interviewed Ryan, a high school senior, who philosophized on Rollin’ Coal: “If someone makes you mad, you can just roll coal, and it makes you feel better sometimes. It’s bad for the environment. That’s definitely true. And some of the kids that have diesel trucks can look like tools. And you can cause a wreck, but everything else about it is pretty good.” Really, where do you start with that? 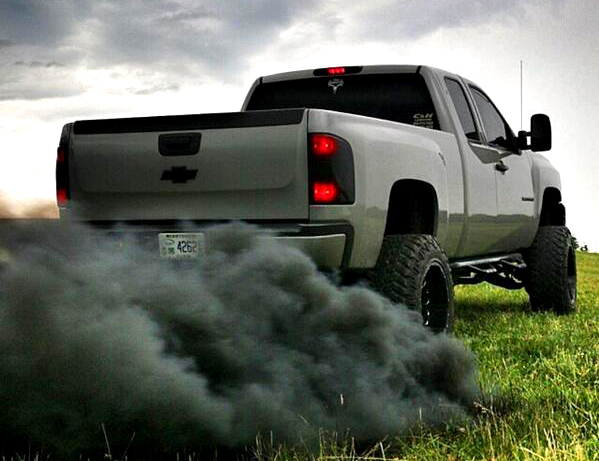 Rollin' Coal has become a misguided way of ‘getting back’ at President Obama, liberals, Prius drivers and anyone else its proponents don’t like by modifying a truck’s engine to burn extra diesel fuel at will and emit a choking cloud of black smoke, usually all over somebody else. Rollin’ Coal developed out of the modifications made to trucks during truck pulls. By burning more fuel, trucks gained a competitive edge and the plumes of black smoke were the by-product of this. Now it’s estimated modifications cost in the range of $1,000 to $5,000. This is in addition to the extra diesel costs, which are in themselves about $0.56 more per gallon than regular gas.